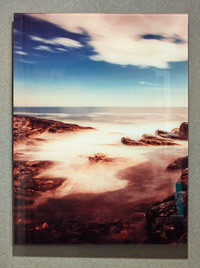 The décor of Hampton Inn by Hilton™ Hotel Halifax is largely influenced by the surrounding Maritime region, with sweeping uses of blues and greens throughout the property, and abstract images evoking feelings of the sea. 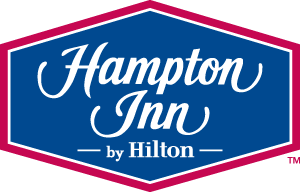 Additionally, Hampton Inn is seen as a lighthouse brand and a beacon of hospitality, a clear and natural fit for the Maritime region given its naval and fishing heritage. 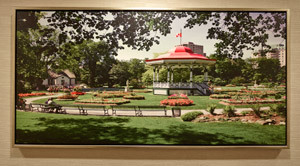 Halifax’s Maritime history is juxtaposed with the additional use of a vibrant colour palate, representing the city’s thriving business community. Historically, references to the Citadel are inescapable, and references to the rich history are subtly peppered within the public spaces and guest rooms of the hotel. The use of photography sourced from two local photographers – Bruce Thomas and Hugh Andrew, who the hotel designers serendipitously found on Flickr, pay homage to the fishing community and seaside town built around a thriving city. 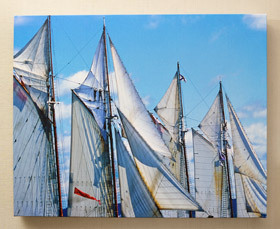 The bank of photography includes a wide range of local images including the Citadel and sails blowing in the wind. Born in Yarmouth, NS, Bruce Thomas is a photographer with a life-long passion for capturing the natural beauty Nova Scotia has in abundance. His interest in photography started at an early age, piqued by a photograph printing kit he received as a Christmas gift when he was 15 years old. This interest served as a hobby for many years and was supplemented by environmental and conceptual art made from items found in nature such as sticks, rocks and sand. During a period of respite from Lymphoma, Thomas continued learning about different photography techniques including high dynamic range (HDR) imaging. This is a technique Thomas uses today in many of the images seen at the property. Andre Hugo is a Canadian photographer with a zest for life and a passion for adventure. With many titles to his name, including a former actor, former military officer, former government official and a recipient of The Order of St. John for saving two lives, Hugo has a wide mix of life experience to bring to his work. He considers himself an optimist, and strives to capture images of the world we live in and encourages others to chase their dreams. Guests entering the lobby are welcomed by contemporary wood paneling, complimented by the chic, modern SilverBirch Conference Centre®. The conference centre contains bold finishes with the use of bright blues and orange and the more subtle creams and charcoal colours. Large light fixtures with bright orange and sunshine yellows adorn the ceiling of the lobby. The wood-effect flooring offers a traditional feel as a nod to the Citadel, a historic site in Halifax that sits proudly on the hill above the hotel. Public areas, like the lobby, are vibrant and sleek and provide eclectic, multi-dimensional, textured and layered areas. The carpet patterns lead the eye to organic shapes that mimic the natural environment surrounding the property and, reflecting this, the walls are also textured. Pops of accent colours, plus natural materials including woods, stones and tiles, are complimented by the use of imagery reflective of the surrounding area and set the stage for guests to engage with and explore the space. An ‘Overflow Room’ gives guests a quiet nook to sit and reflect on their day in the city. Guests can sit beside the fire in the winter months, or enjoy the lounge seating to socialize. The room also offers business travellers a comfortable work space option. The unique artwork ledge offers imagery of eclectic concepts, adding to the ‘library’ atmosphere and making the space perfect for quiet reflection. Starting the day with a nourishing breakfast in the property’s Breakfast Room, guests will be welcomed into a bustling environment echoing the activity in the surrounding harbour. 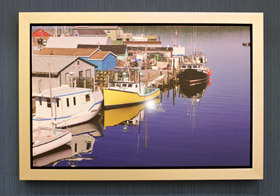 Bright, vibrant blue accents and textured wall coverings energize the space and original photography pulls the environment together and gives guests a ‘sense of place.’ Photographs feature local fishing villages and create an ambience reflecting local and indigenous heritage. The space ignites the senses and piques curiosity, encouraging guests to explore the lobby and its surrounding area and discover the featured artwork before they step out into the city and start their busy day. From a functional perspective, business guests have access to a communal table that allows them to access power and Internet connection. The space is multifunctional with a mix of seating styles and heights and a custom settee. Guest rooms at the Hampton Inn by Hilton™ Hotel Halifax suit the short-stay business traveller and offer an escape from the city scene. Vibrant blues and greens serve as the foundation for the décor, which is both modern and contemporary, while the colours represent the sailboats and natural environment outside. This offers intriguing dimensions that encourage guests to contemplate the unique pieces of art and to be inspired by the local beauty outside their window. The theme of landscapes and the Maritime culture, complimented by the feeling of activity and movement, are apparent in each guest room. 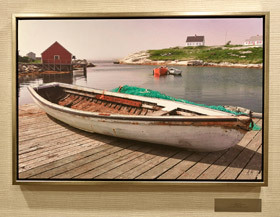 Finally, select photography by photographer Bruce Thomas – found on Flickr – gives specific guest rooms a local ambience, enriching the space and connecting guests to what life is like in Nova Scotia.